Joe Dolce travels the globe to "tear down the cannabis closet" and de-mystify this new frontier, seeking answers to the questions we didn't know we should ask. 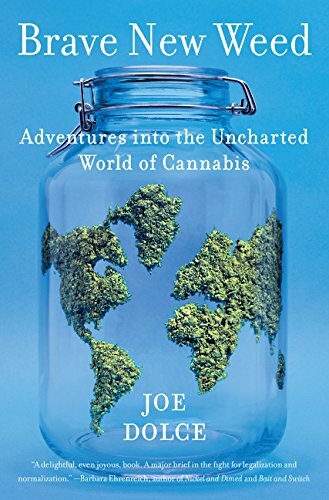 The former editor-in-chief of Details and Star adventures into the fascinating "brave new world" of cannabis, tracing its history and possible future as he investigates the social, medical, legal, and cultural ramifications of this surprisingly versatile plant. Pot. Weed. Grass. Mary Jane. We all think we know what cannabis is and what we use it for. But do we? Our collective understanding of this surprising plant has been muddled by politics and morality; what we think we know isn’t the real story. A war on cannabis has been waged in the United States since the early years of the twentieth century, yet in the past decade, society has undergone a massive shift in perspective that has allowed us to reconsider our beliefs. 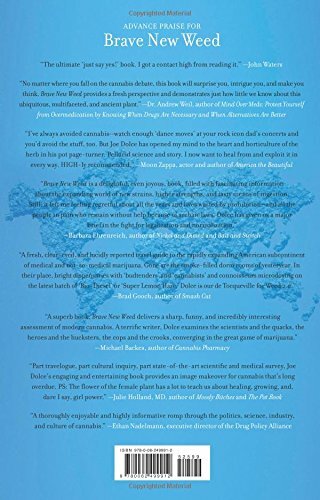 In Brave New Weed, Joe Dolce travels the globe to "tear down the cannabis closet" and de-mystify this new frontier, seeking answers to the questions we didn’t know we should ask. Dolce heads to a host of places, including Amsterdam, Israel, California, and Colorado, where he skillfully unfolds the odd, shocking, and wildly funny history of this complex plant. From the outlandish stories of murder trials where defendants claimed "insanity due to marijuana consumption" to the groundbreaking success stories about the plant’s impressive medicinal benefits, Dolce paints a fresh and much-needed portrait of cannabis, our changing attitudes toward it, and the brave new direction science and cultural acceptance are leading us. Enlightening, entertaining, and thought-provoking, Brave New Weed is a compelling read that will surprise and educate proponents on both sides of the cannabis debate.